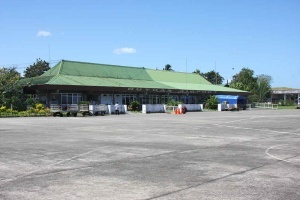 Aviation Updates Philippines - The Butuan airport is now operational and flights back to normal after the Cebu Pacific airplane that skidded off the runway on Saturday morning has been removed. The A319 plane is temporarily parked near the gate after it was pulled away from the runway past 9 a.m. on Sunday. The Civil Aviation Authority of the Philippines closed the airport to traffic since Saturday morning after the A319 plane's nose wheel gear fell on the grassy portion at the end of the runway while taxiing for departure. No one from the 105 passengers, two pilots and four cabin crew was reported injured in the incident, which occurred past 10 a.m. All flights to and from Butuan were cancelled on Saturday. As of 3 p.m. on Sunday, the airport's operation has resumed and is now back to normal.